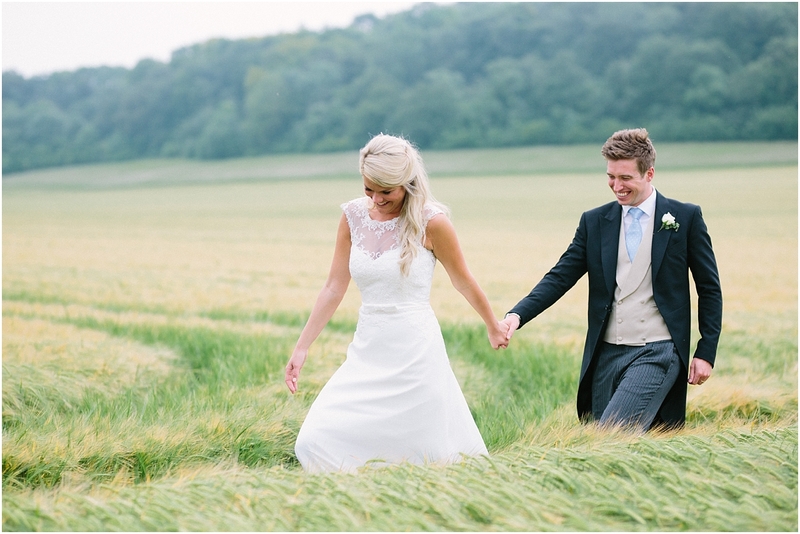 What’s not to love about wheat fields, steel drums and loads and loads of smiles?! 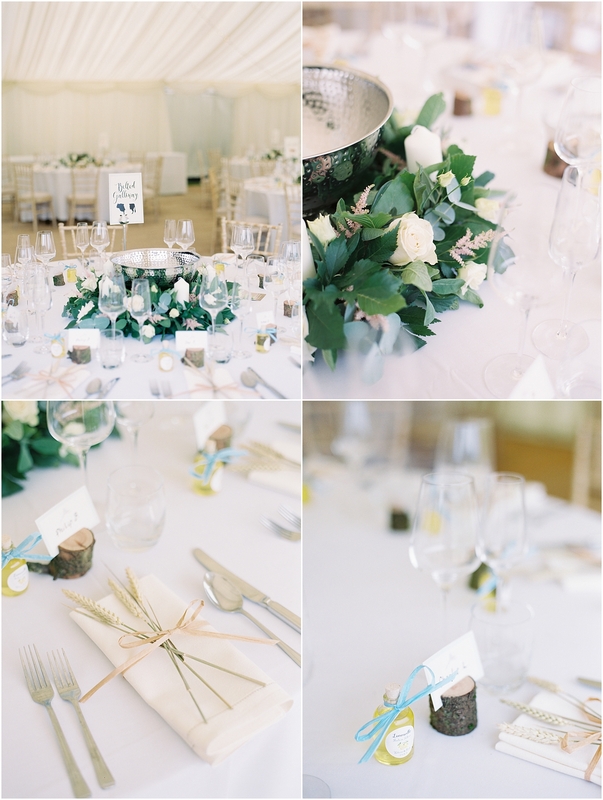 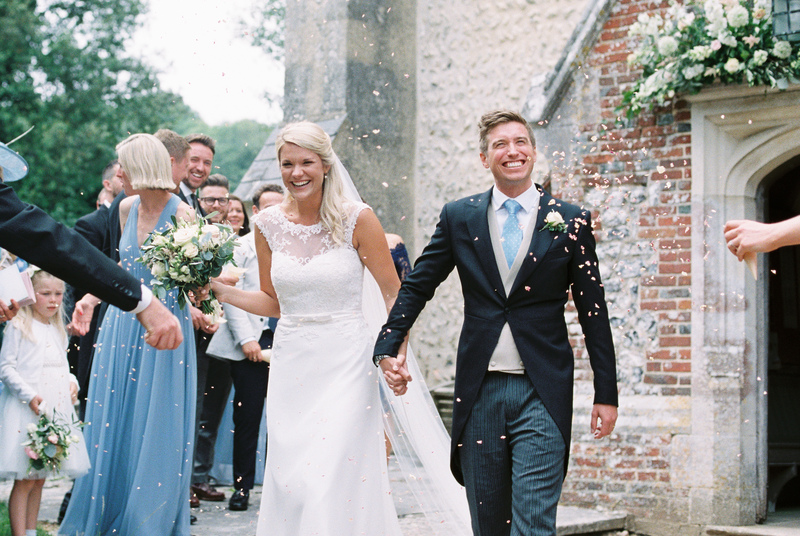 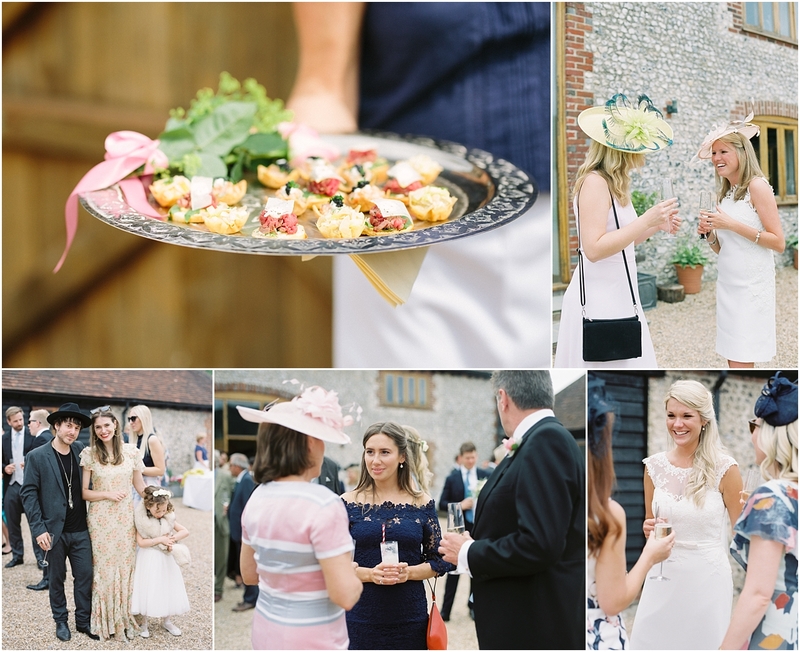 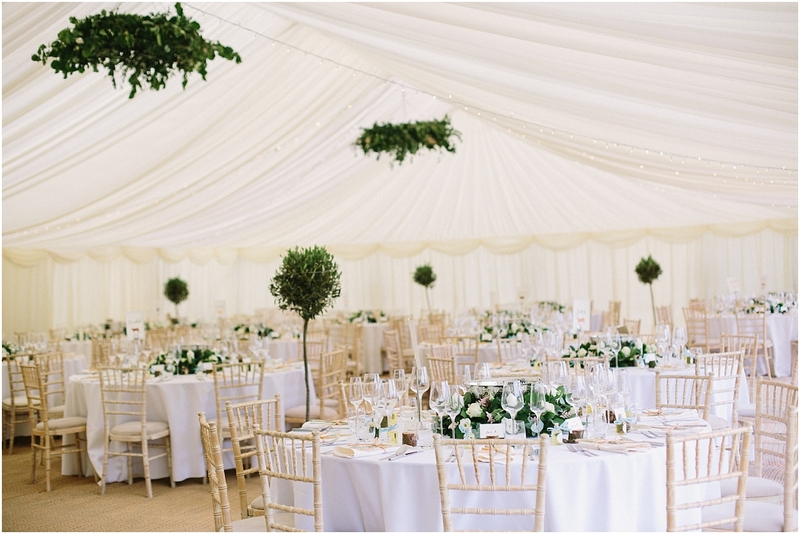 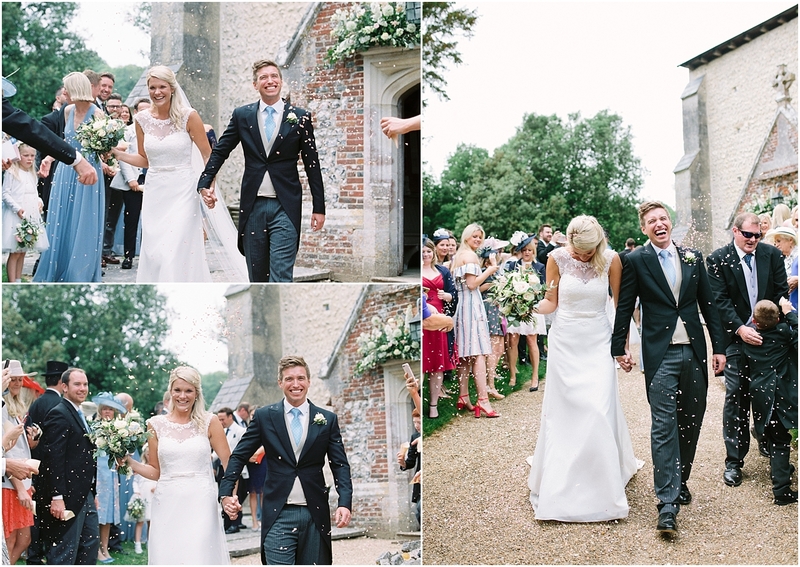 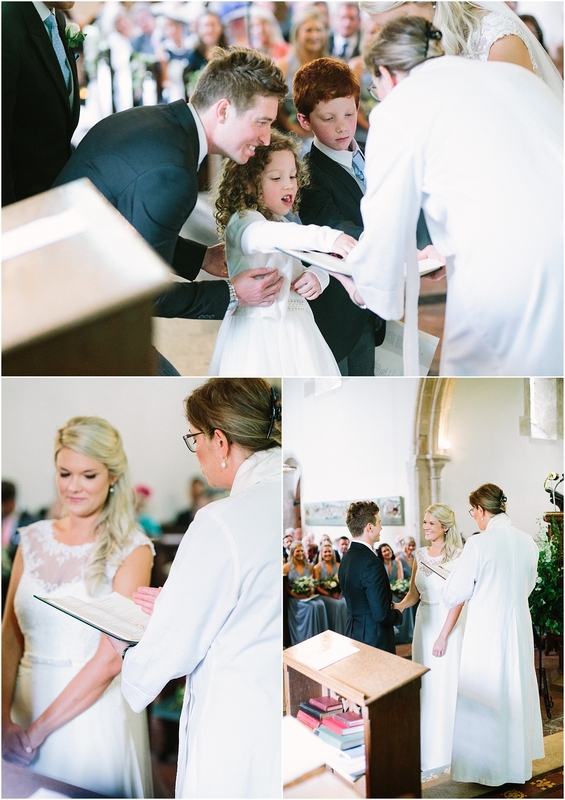 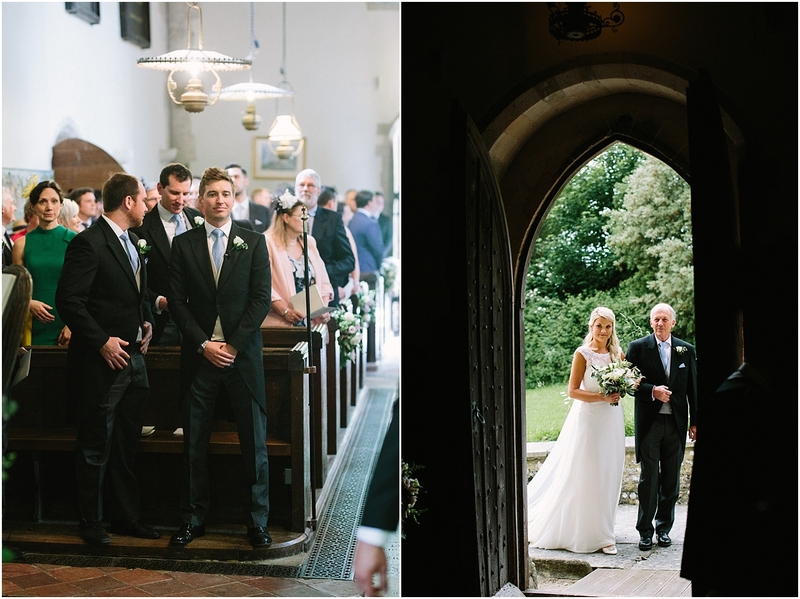 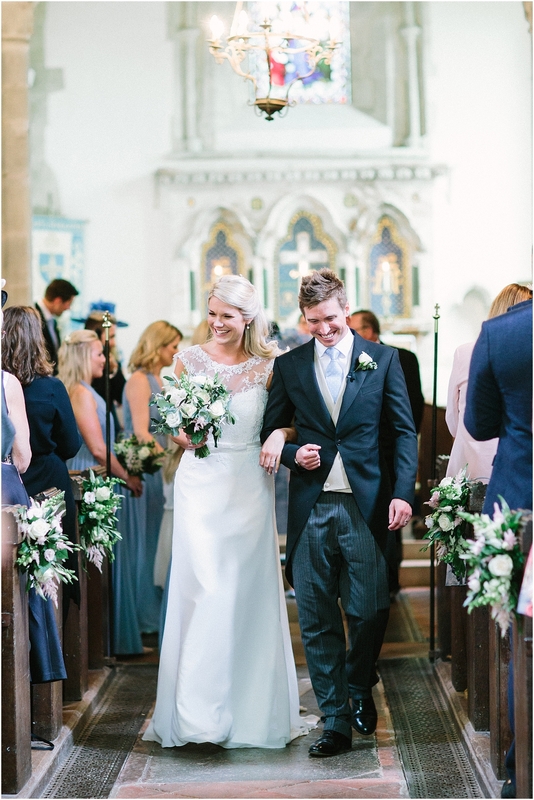 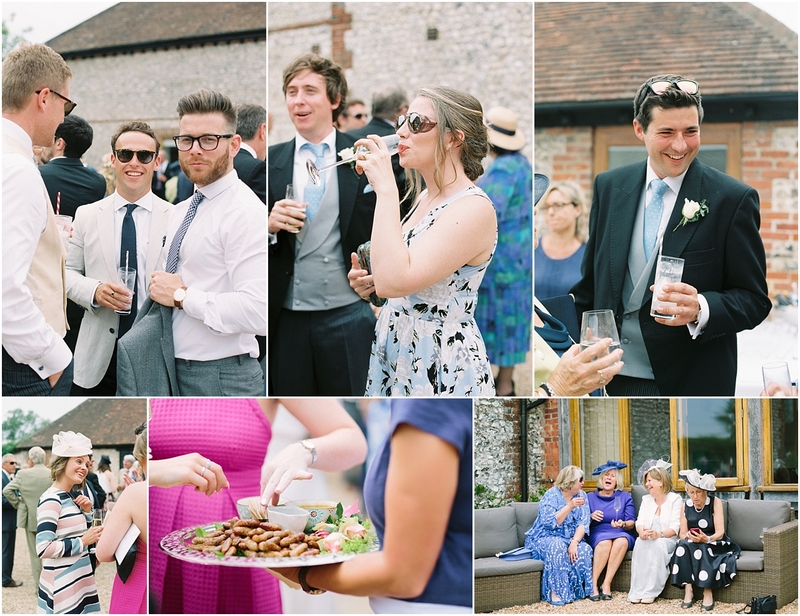 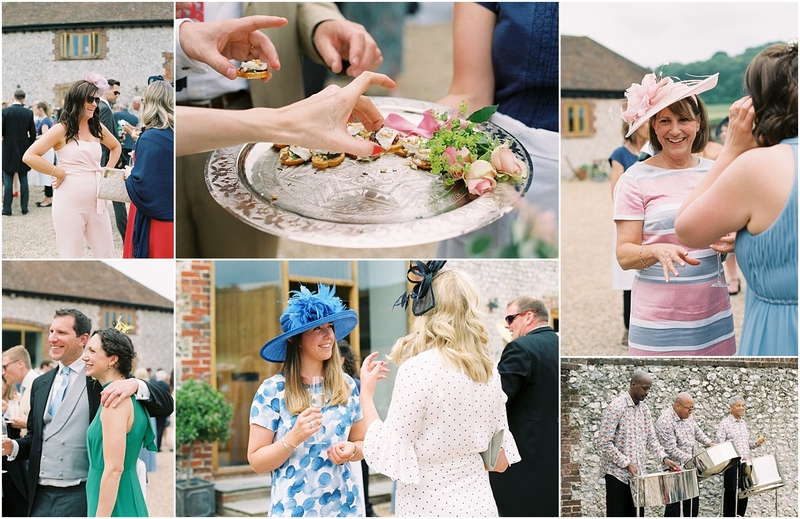 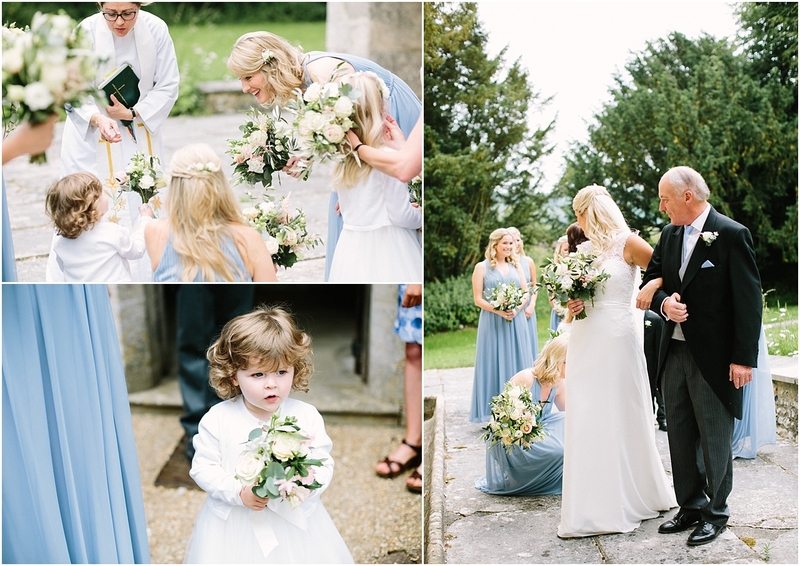 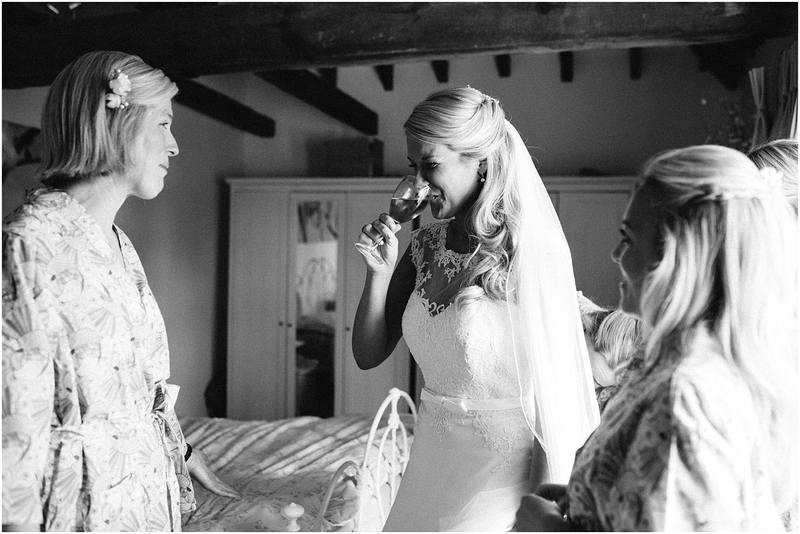 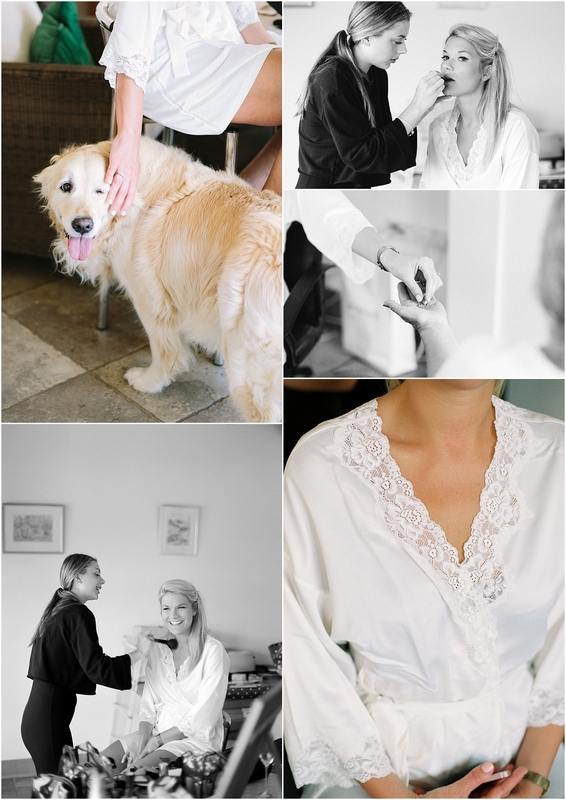 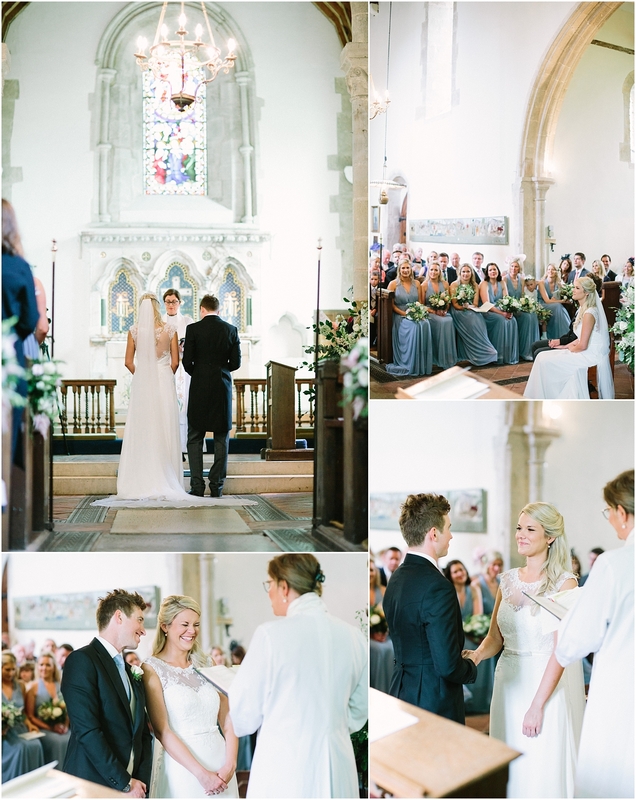 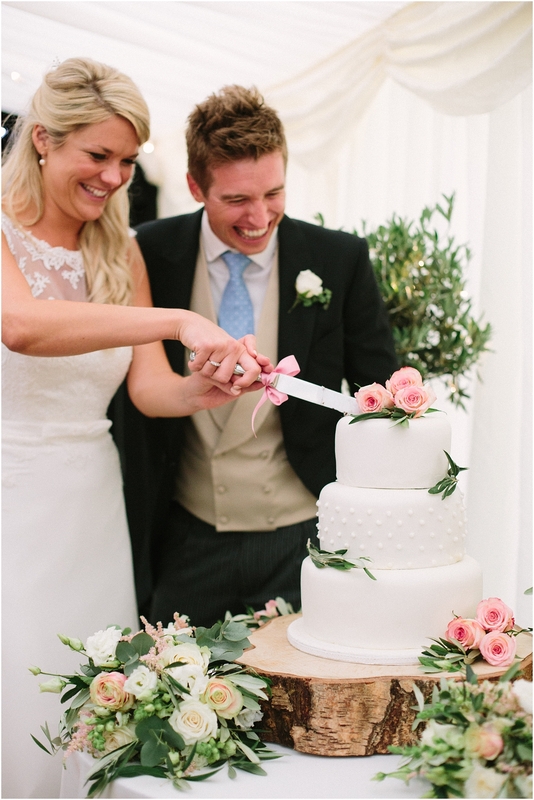 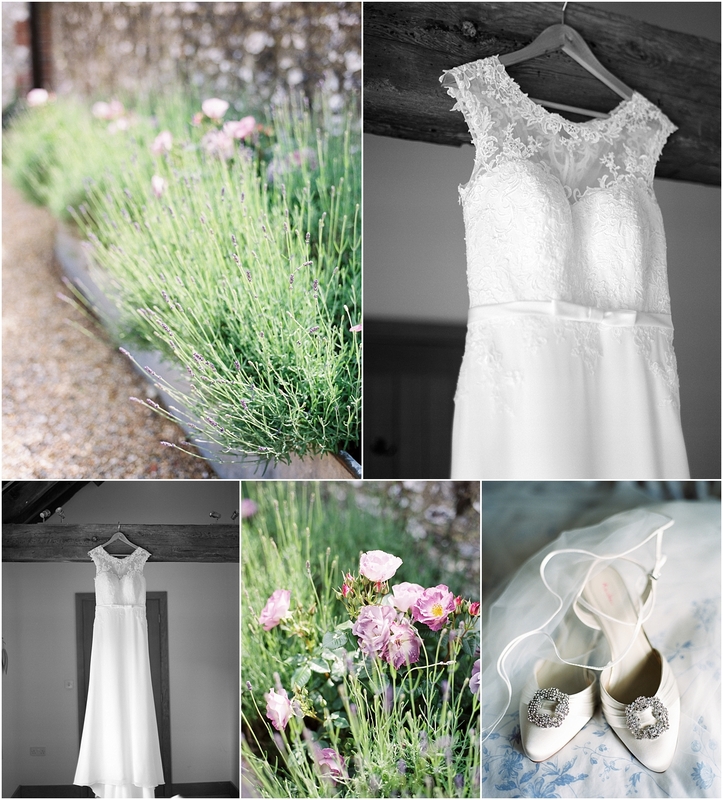 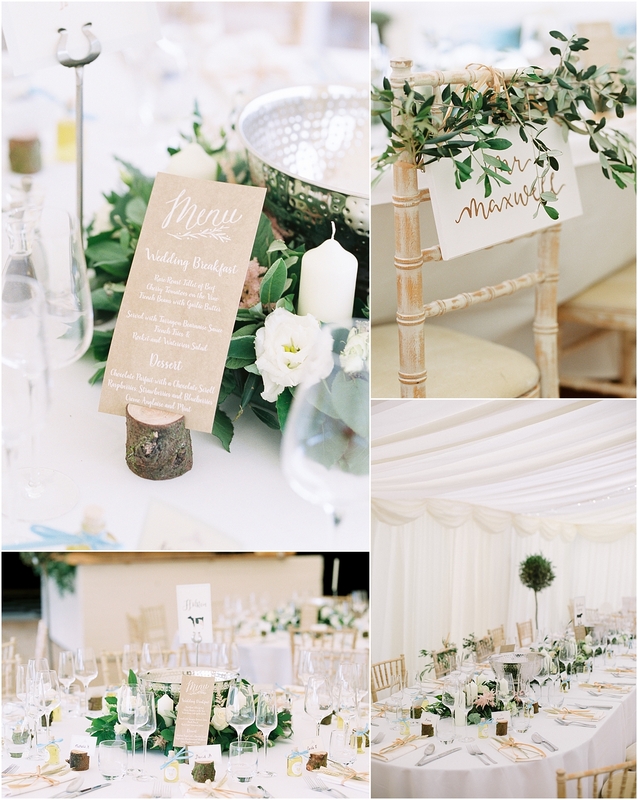 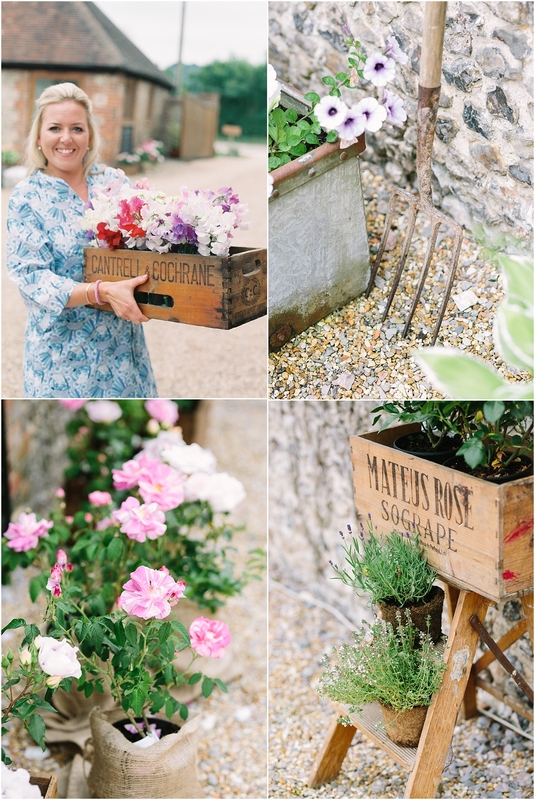 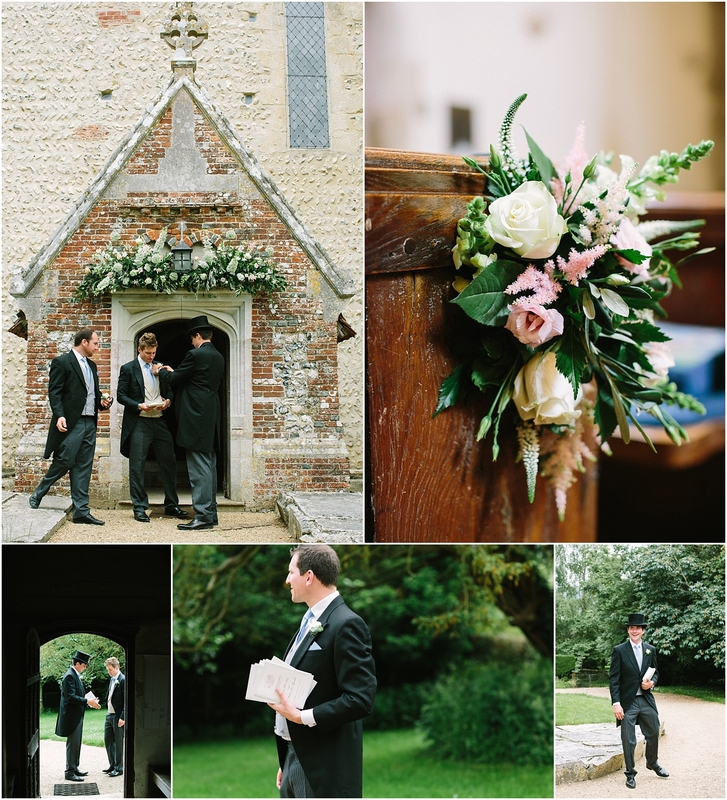 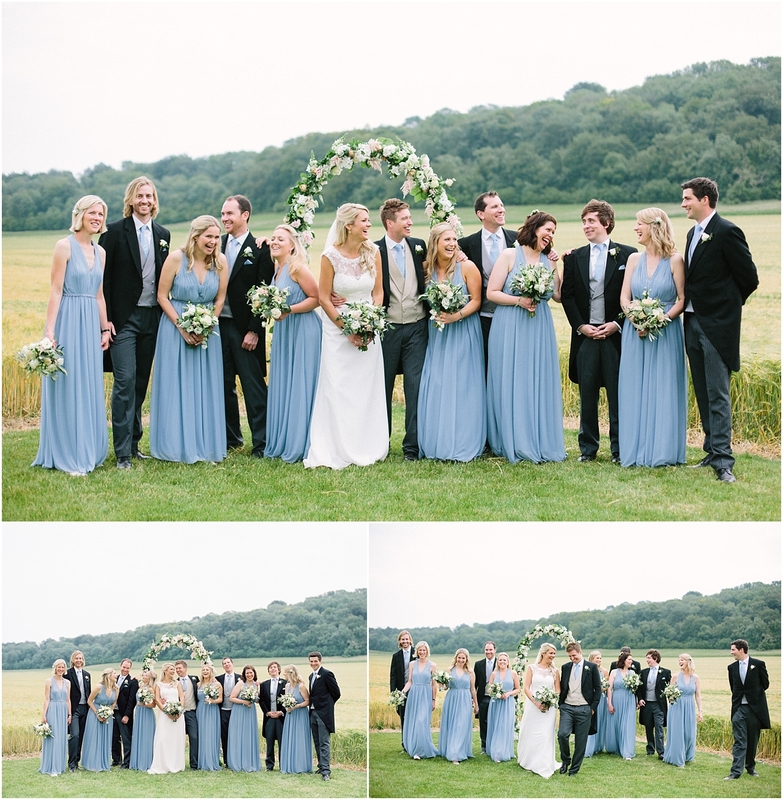 This Sussex Farm Wedding has all of the above and so much more. 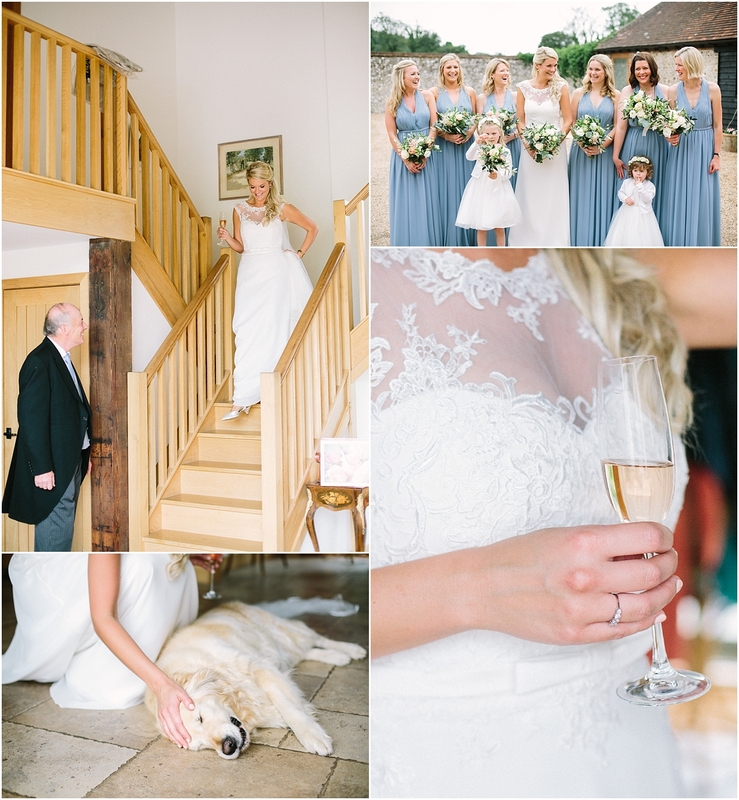 Matt and Vics were married on a gorgeous day in June at their local church and had the most fabulous reception at Vic’s family farm. 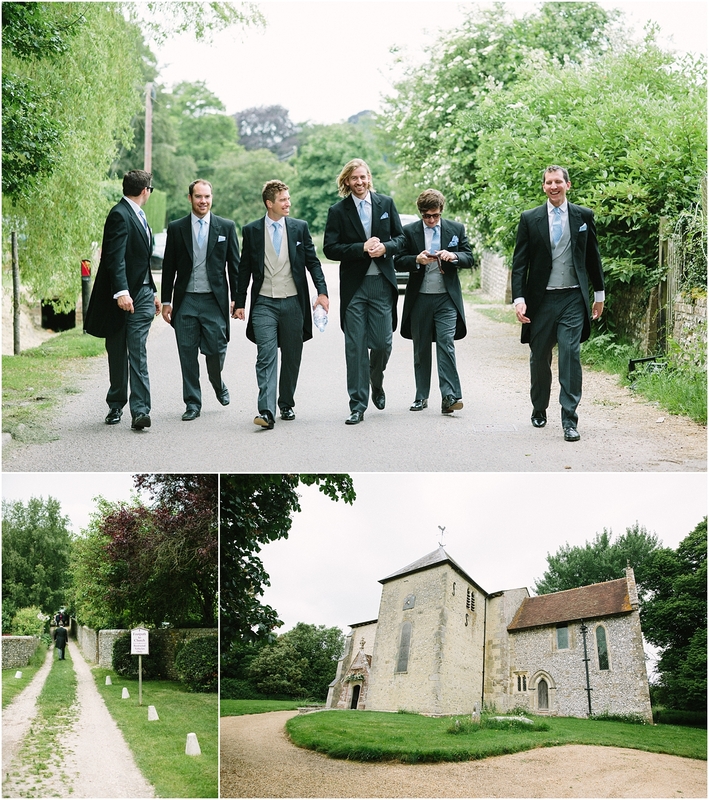 When I saw Matt with the biggest grin on his face waiting at the alter for his bride, I knew these guys were madly in love and a lot of fun! 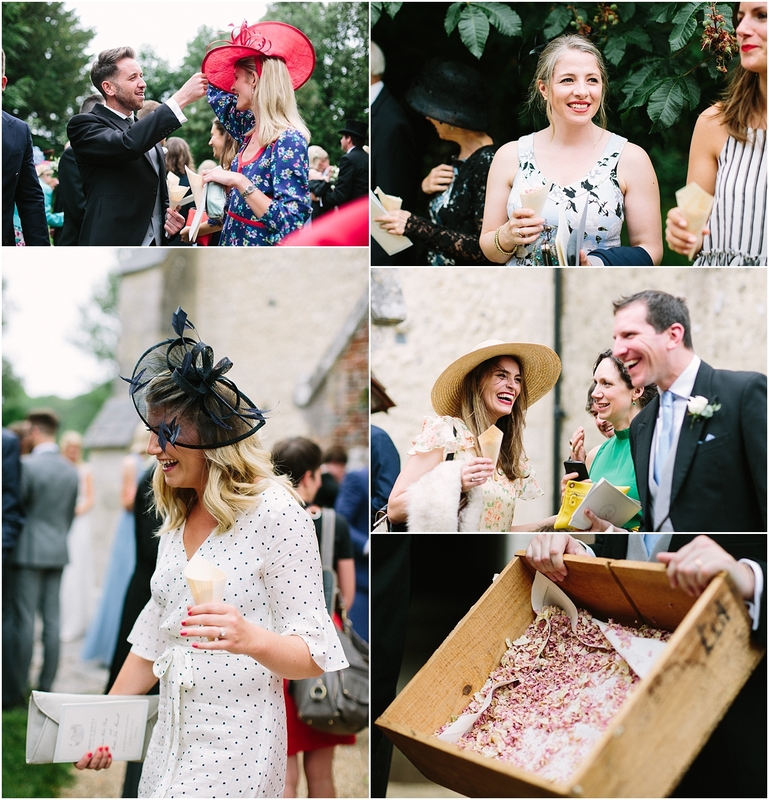 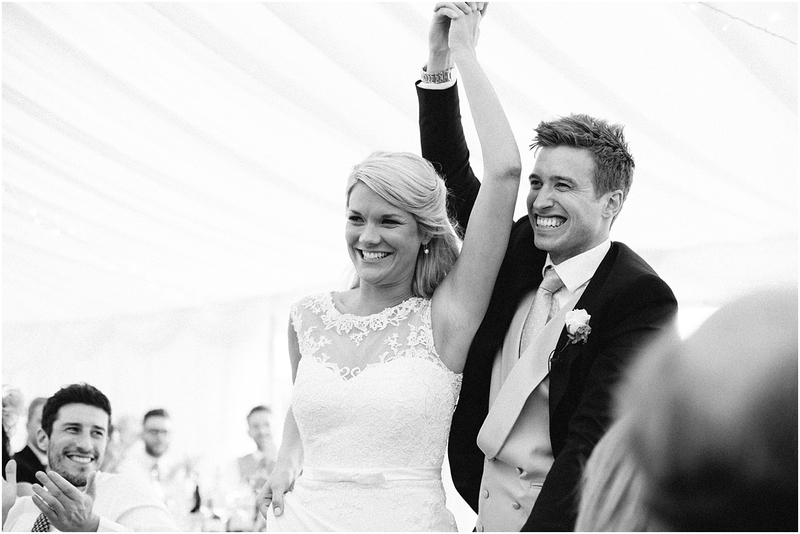 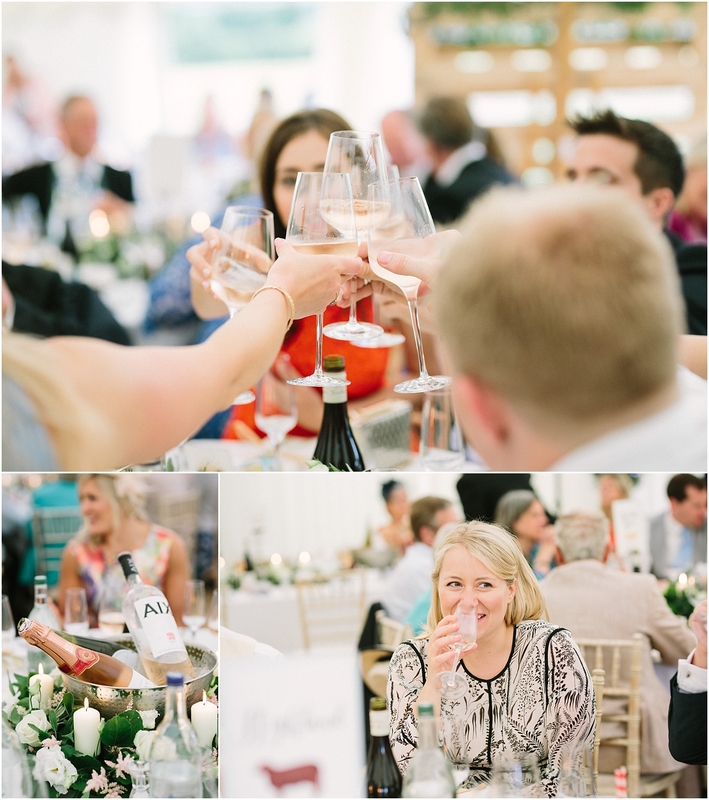 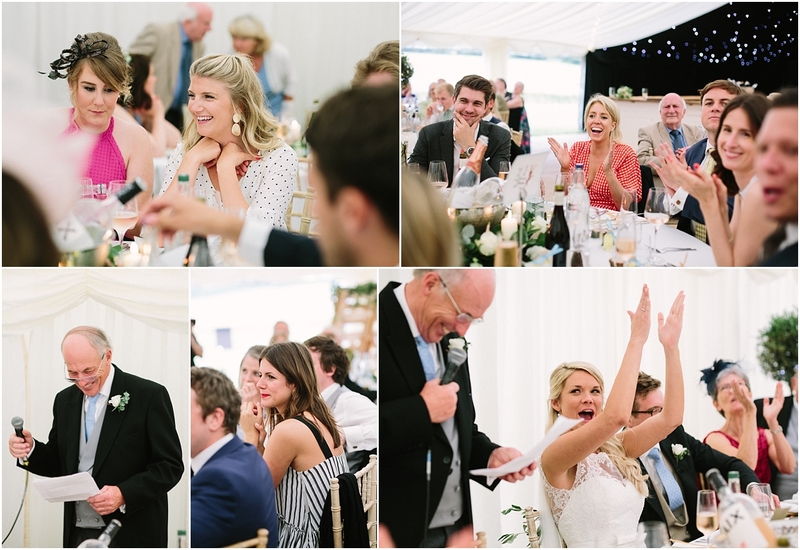 Those smiles continued throughout the day, not only from the newlyweds, but also from their amazing friends and family who were full of laughter, cheer and fizz! 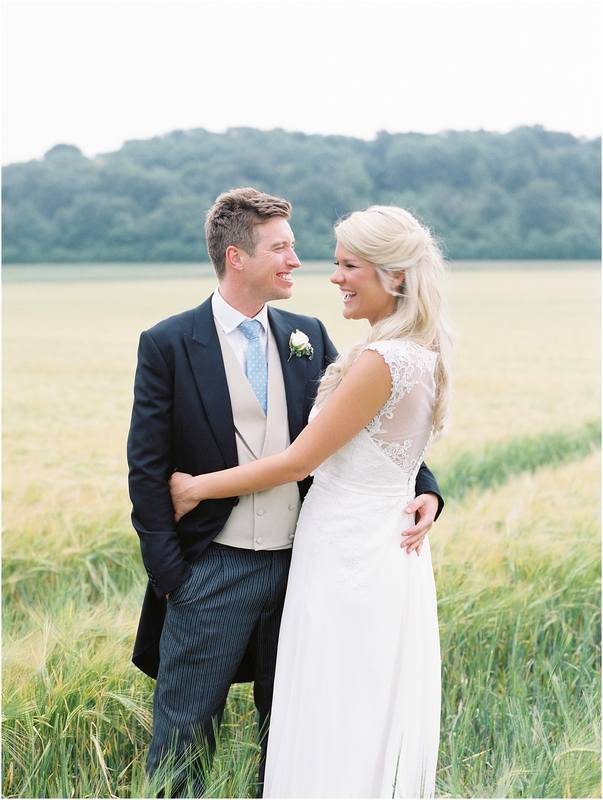 The wheat fields at the farm were the perfect spot for photographs, especially as the light was lovely and soft all day long. 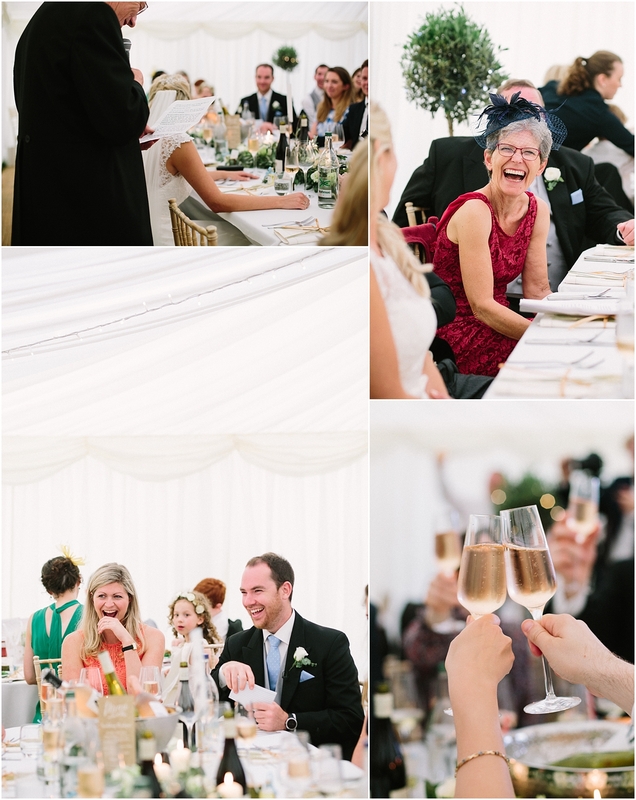 Matt and Vic’s just could not stop grinning and giggling, they were on cloud nine and it was a pleasure to capture their happiness. 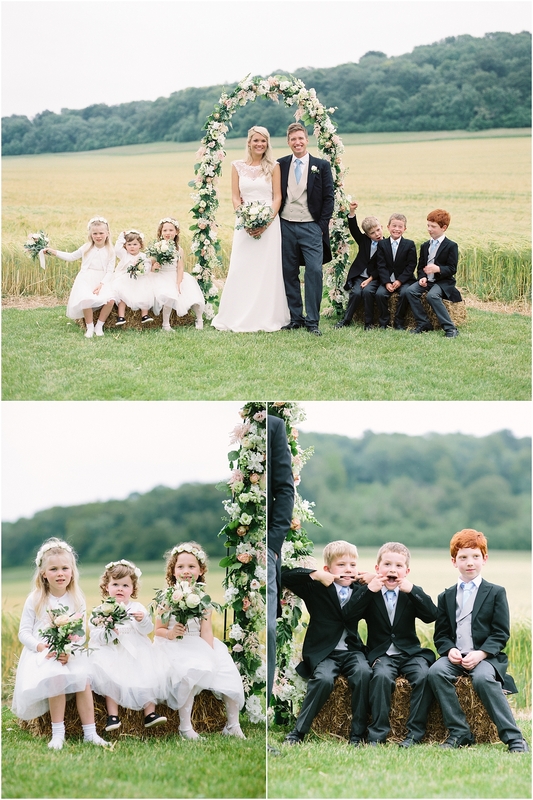 I also should mention the amazing flower arch by Farmyard Flowers which served as the perfect backdrop! 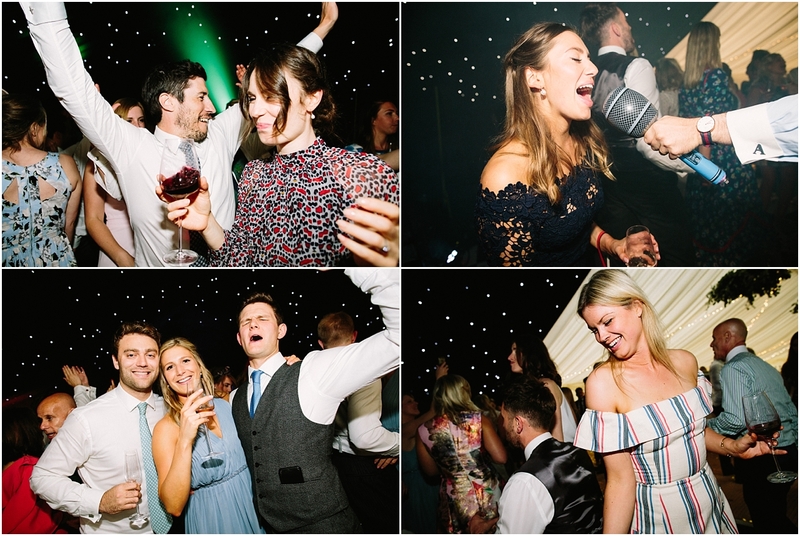 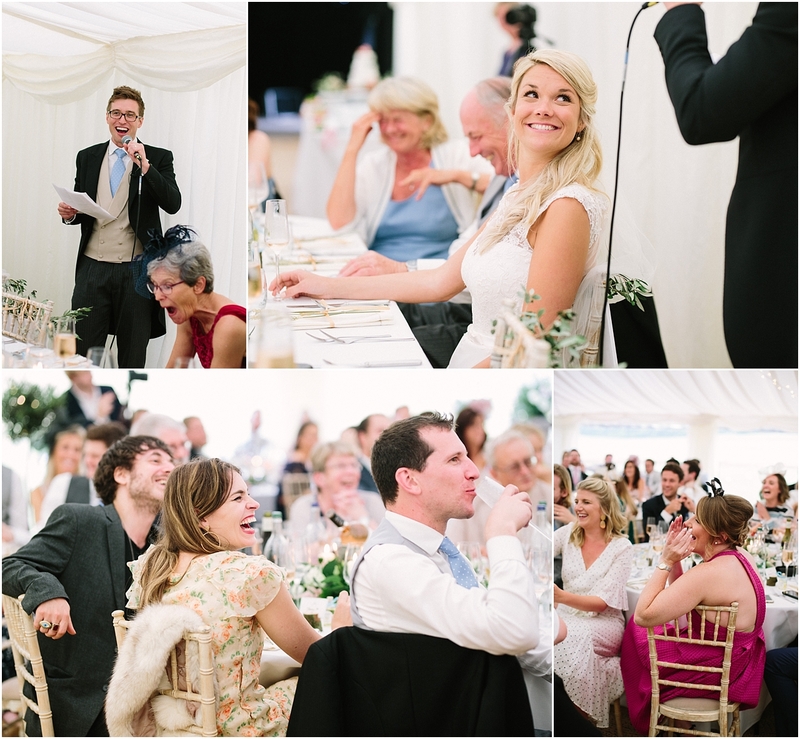 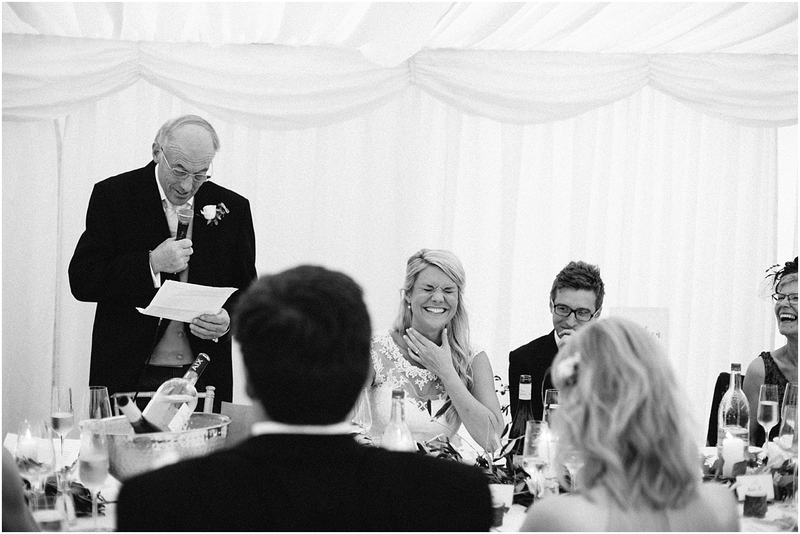 After drinks, nibbles and a boogie to the steel band, the guests headed into the marquee where they were treated to a delicious meal and some fantastic speeches. 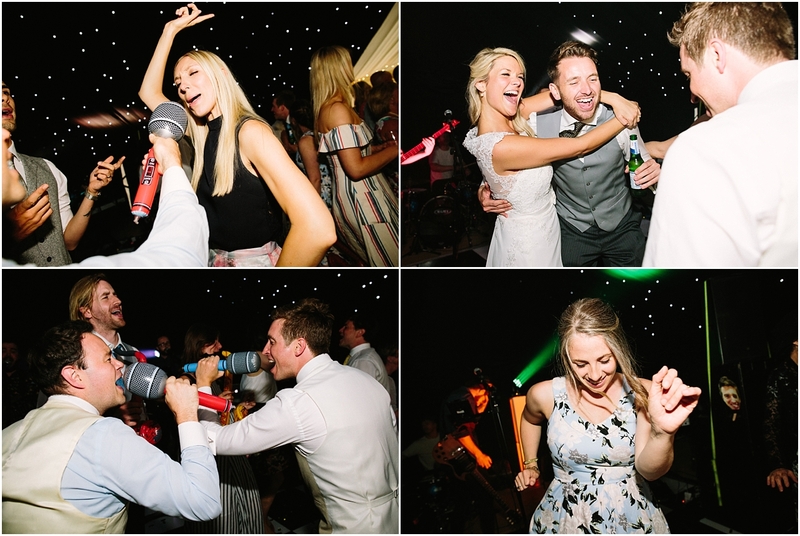 Afterwards they all spilled out onto the field to enjoy the hazy evening light before hitting the dance floor hard and busting out some impressive moves! 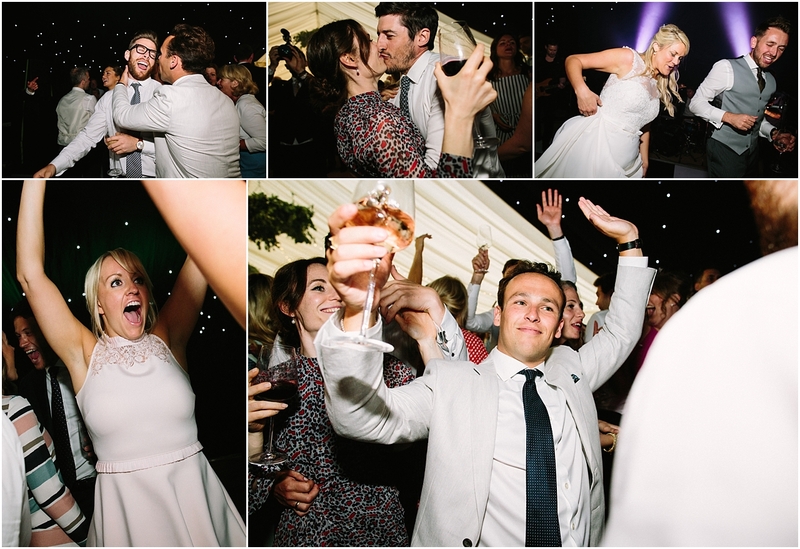 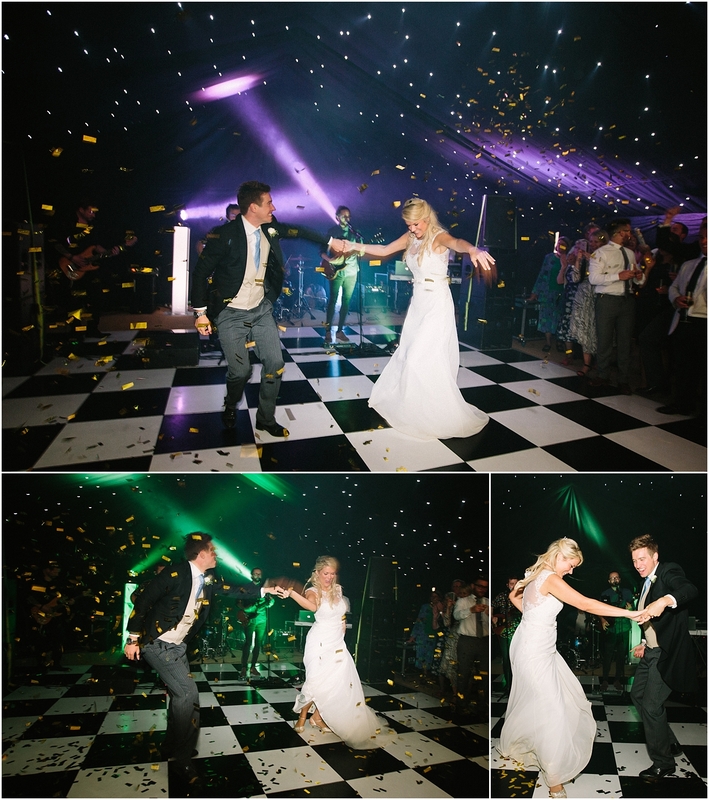 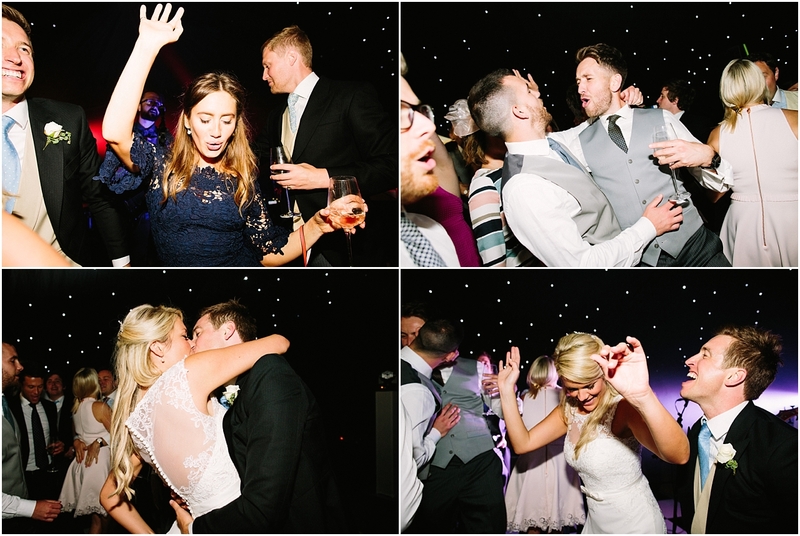 Here’s a tip, give your guests Limoncello wedding favours to ensure a pumping dance floor. 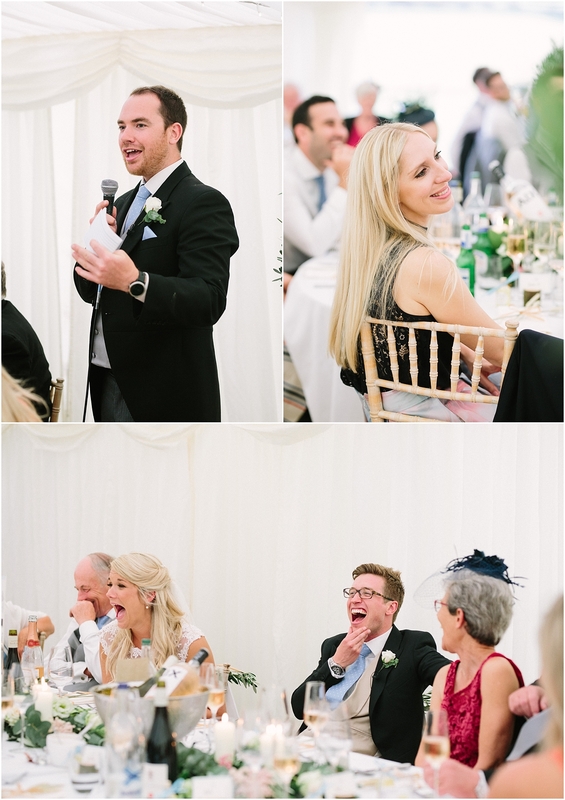 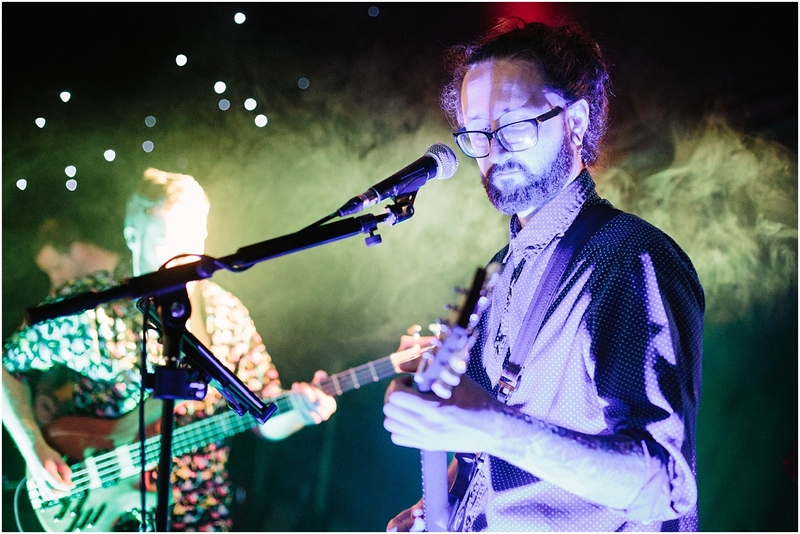 Oh and throw in some inflatable microphones to add extra laughs! 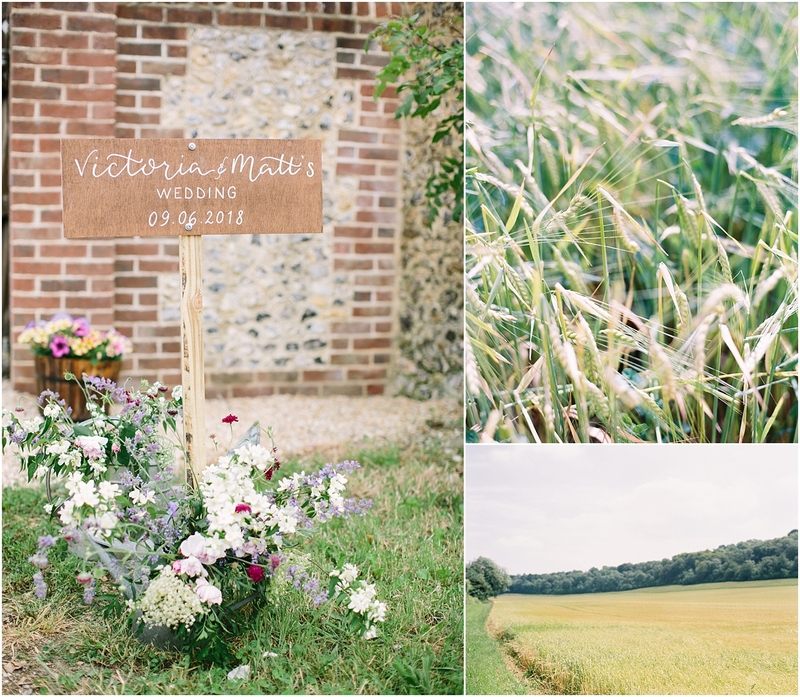 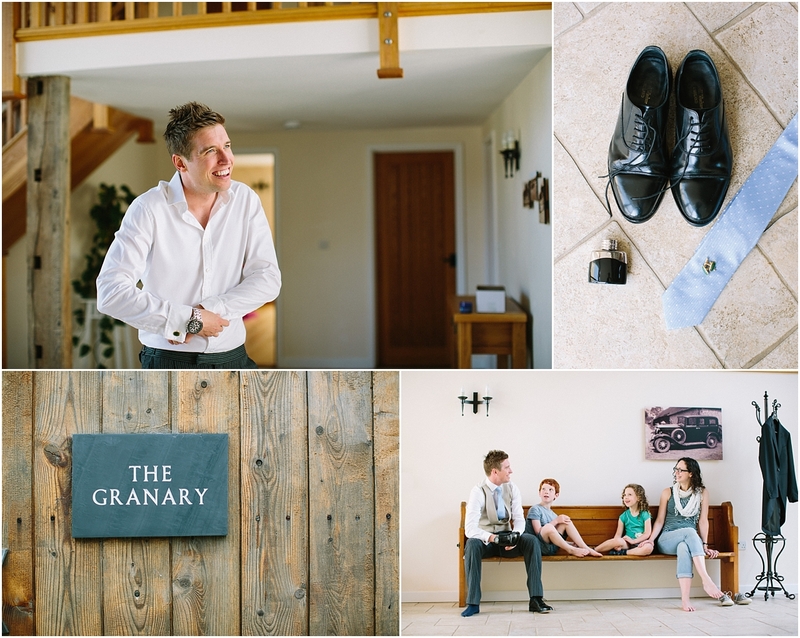 Matt and Vics are a couple who clearly adore each other, I loved photographing their Sussex Farm Wedding day and felt like one of the family by the end of the night.